Northamptonshire: home of Richard, Fotheringhay and tournaments….! Well, Ricardians will probably always associate the county of Northamptonshire with Richard’s birthplace and the great Yorkist connections at Fotheringhay, but it seems that back in the medieval period, it was also the home of tournaments. Richard is at Sudeley again soon…. A weekend of Richard-themed festivities will soon be taking place at Sudeley again, from Saturday, August 20 to Sunday, August 21. England versus Scotland, mediaeval style (did Richard encounter any of this sort of thing?)…. Throughout history, relations between England and Scotland have been somewhat rocky, and this was evident in the ‘noble’ sport of jousting. They had countless very strict rules, and chivalry was supposedly uppermost in every knightly mind, but it all went by the board when the armour was on and the lists awaited. And in pavilions while resting! At Haddington in 1242, after a tournament between the English and Scots, Walter Biset murdered Patrick, Earl of Atholl as he slept. The reason? Atholl had unhorsed him during the fighting. During a melée, perhaps, for that form of the sport was very popular then. One wonders if Biset would have resorted to the same extreme had the offender been another Englishman. Perhaps, but being unhorsed by a Scot was probably too much of a dent on his vanity. Almost constant warfare between England, Scotland and France gradually gave rise to a new variation of the knightly sport, border feats of arms called ‘hostile combat’ or ‘jousts of war’. War wasn’t going to come between these men and their passion. Jousts of war were first fought between English and Scottish knights at the sieges of Cupar, Perth and Alnwick Castle. At Alnwick the occasions were described as ‘great jousts of war on agreed terms’. One is rather reminded of that famous Christmastide football match between British and German troops during World War I, which, incidentally, has been described as a melée! In 1341 Henry, Earl of Derby, a noted tourneyer, held two important border combats. At Roxburgh he and three companions jousted à l’outrance (combat fought under war conditions with the normal weapons of war, fought under personal or national enmity and usually resulting in death or serious injury). Their opponents were William Douglas and three Scottish companions. Douglas was mortally wounded. The next border combat was a larger affair at Berwick, when twenty English knights challenged twenty Scottish knights to three days of jousting à l’outrance. It resulted in three deaths and many casualties, including the Englishman Richard Talbot, who would have been killed had he not been wearing protective armour, contrary to the agreed terms of the combat. Naughty Talbot, but what a stroke of good fate for him! Strangely, at the end of the occasion, the heralds awarded prizes to the best performance on each side! The successful conclusion of the Scottish campaign provided the excuse for a series of elaborate jousting festivals, held under the king’s (Edward III) aegis, culminating in 1342 when a fifteen-day long festival was held in London, which was proclaimed throughout Europe and attracted many foreign knights. Well, England and Scotland being England and Scotland, it wasn’t all that long before hostilities broke out again, and after 1386 there were many applications to the king for licences to perform ‘feats of arms’ against various named and unnamed Scottish knights. There were many border combats as a result, culminating in perhaps the most famous encounter of all, held in 1390 on London Bridge itself. Four Scots, led by David Lindsay, fought single combats against four Englishmen, first with lances of war and then on foot with daggers. The Scots were triumphant, and were awarded with costly gifts by the king, Richard II. Three years later, in 1393, the combat was repeated, and this time the English carried the day. Honour was satisfied. If the link doesn’t work, just Google Lindsay-Welles-London Bridge-1390. Maybe the duels on London Bridge were sorted to mutual satisfaction, a draw 1-1, but it didn’t stop England and Scotland from viewing each other with mistrust. 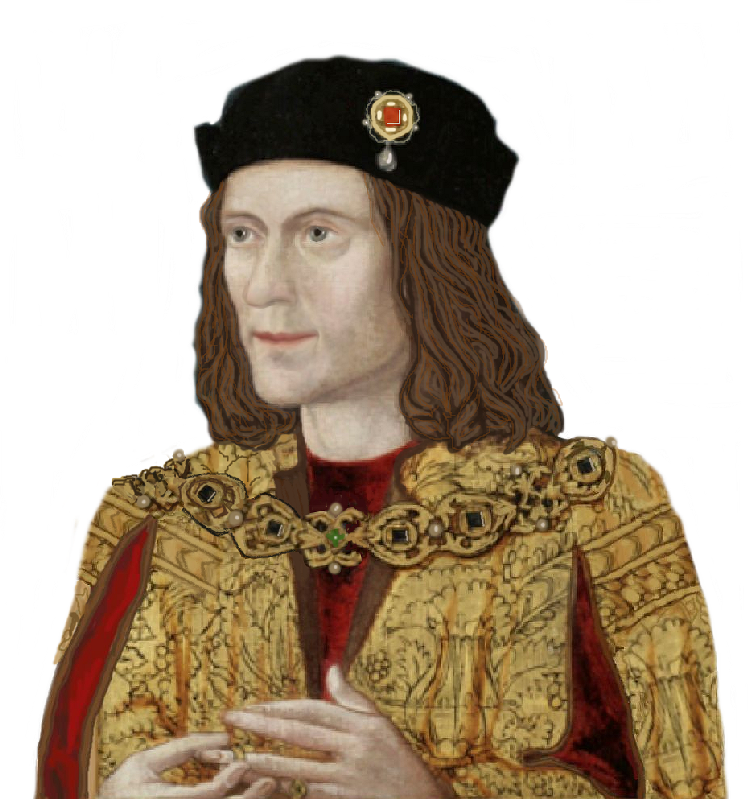 Ask Richard III who (as Duke of Gloucester) was still taking on the Scots in 1482, when he recaptured Berwick. Then he entered Edinburgh and eventually a truce was agreed. Now, whether that resulted in any jousts I do not know, but knights being knights, I hazard a guess that there were a few. . . . Most of the above information has been taken from Tournaments – Jousts, chivalry and pageants in the Middle Ages by Richard Barber and Juliet Barker. The illustration is from skyscrapercity.com.